Unless its the routering, as im brushing it I can see the middle looking good and solid. The top or bottom usually gets some marks or lacks mills. Probably not loading the brush all the way fornthe samples like I would before alot of cutting. Just seems its more common for me to get some lines near top or the bottom. Im pretty stoked. 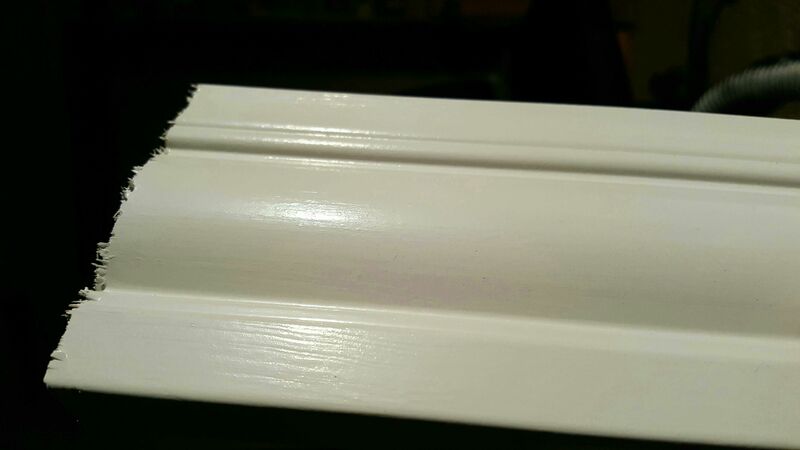 Sanded that first piece seen above and put a second coat on. You can clearly see the letters on my korvid bag and its mirror quality......idk even know what to think...just blew my own mind. 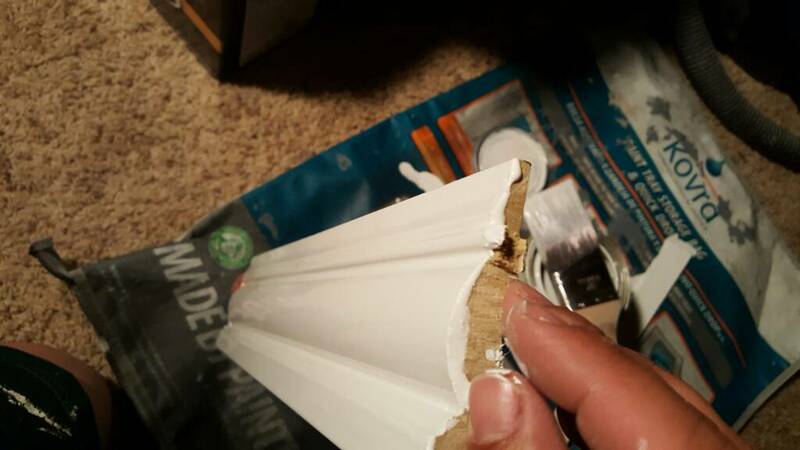 All of those pre-primed MDF and pre-primed pine products are junk. Some of them appear decent at first glance, but when you put a camera to them, you quickly see the surface is not ideal for fine finishing. 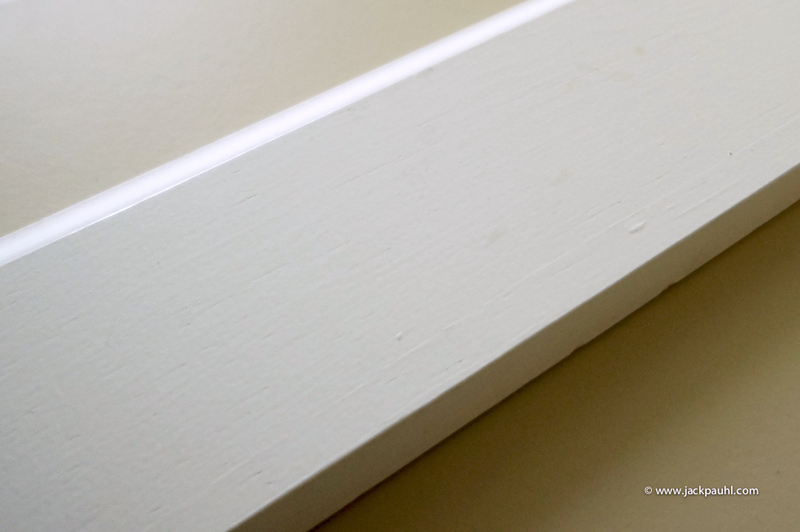 Here is a piece of pre-primed pine below. All imperfections stand out when you brush or spray a "fine finish" over these products. If I were painting this piece I would start with #1 (each represent a heavy load). Allow #1 to roll over #2. The same is true for the opposite edge. 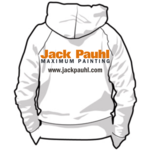 Apply #6 to allow paint to fall over the edge #7. Then apply #7 solid and final pass #6. 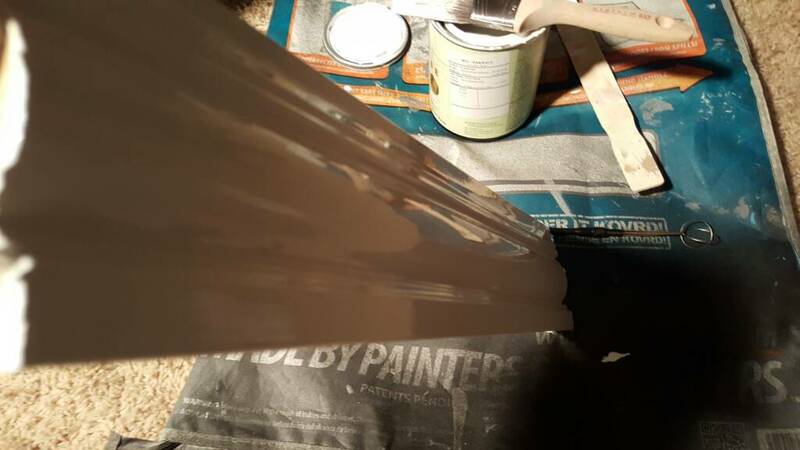 The trick is loading the paint onto the surface first before trying to make it look good. So, essentially 1 - 7 get loaded on the piece and then laid off all at once. 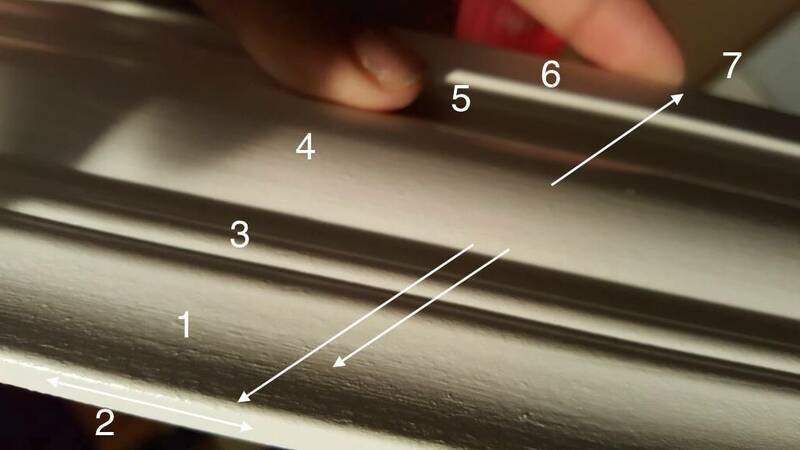 These trim profiles require alternating the position of the brush too. Some loads are applied with the flat side of the brush and others as if you were cutting-in. A similar technique is used for painting crown. I made a video for painting crown but unable to find in on either of my YouTube channels. I may have purged it along with a few dozen other videos while back. I'll see if I can find it or maybe just make a new video. Edit: found it.  I uploaded to YouTube but video quality is poor. Select 720 HD option, (slightly better quality). The 1st load gets the bottom edge of the crown and the 1/2 inch of drywall below it. This technique is a bit different than I suggested earlier compared to pre-loading the section. In the video each load is strategically placed and moved in one direction for a (one and done) pass for efficiency. There are 5 loads total. Pay attention to load #3 which goes out of order. Load #3 gets paint on the top edge of the curve and load #4 is the top floating edge followed by load #5 which jumps back down to tie in between load #2 and #3. Notice the time is 32 seconds for 3 feet of crown which changes to about 5 feet once out of the corner in 32 seconds. Okay trick question for bonus credit points. Which direction am I moving? To the right around the room or to the left, and why? The Blaze is a great brush. The only caution (which is important) is the shorter filament length compared to the Picasso. Just like various "stiffness" in drywall knifes produce different results for floating mud, so too does stiffness in brush design. The Picasso's filaments are longer and more springy compared to the Blaze. The extra filament length assist with gauging mils where the Blaze (if not careful) can remove the material you're trying to build heavy. Its not necessarily a bad thing, you just need to be aware that it can happen and often does. Hi jack can gardz be used on wood that's been primed then top with gardz?then top coat. 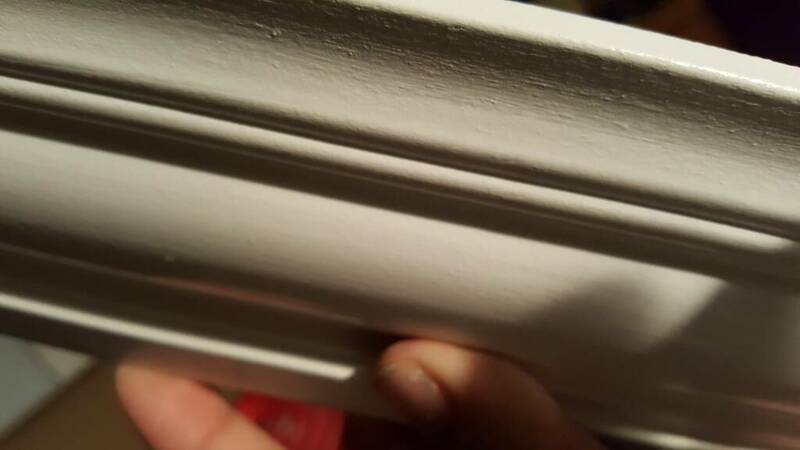 Hi jack today I sanded wooden skirting that has been glossed applied two coats of coverstain,just for the test if I give it two coats of gardz will the top coat gloss be a high sheen? 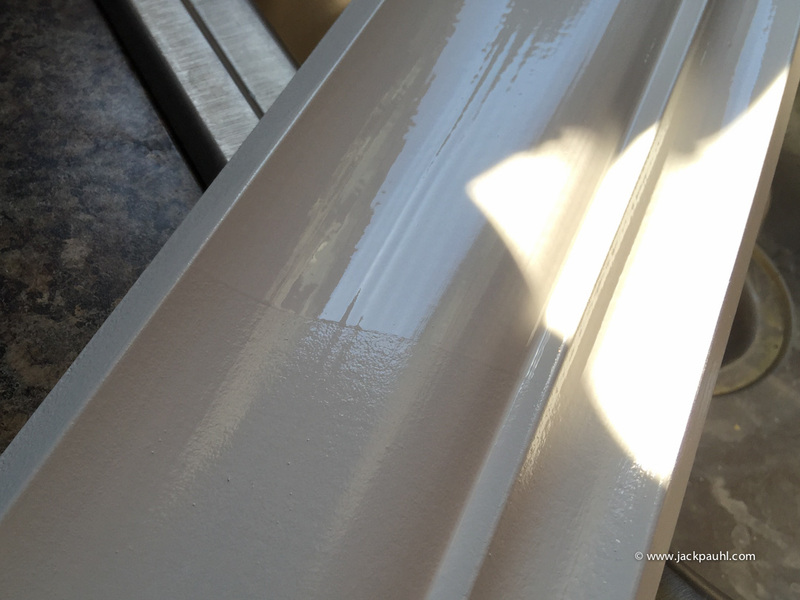 It is possible that Gardz will enhance the sheen of the paint which should be more true to actual sheen of the paint. I wouldn't think Gardz will work good over Cover Stain or any oil-base primer. any recommendations on a good primer that I can buy in uk? Cover Stain should work great. No need to apply Gardz over Cover Stain. You are moving to the right around the room . Because that's the way I go! I am moving to the left (right handed) in the (crown) video. All passes lay over the previous section. You achieve maximum reach when right handed and moving left because your right arm doesn't cross your body. This is essentially the same technique used on the crown with the exception of the corners which the previous (crown) video shows. 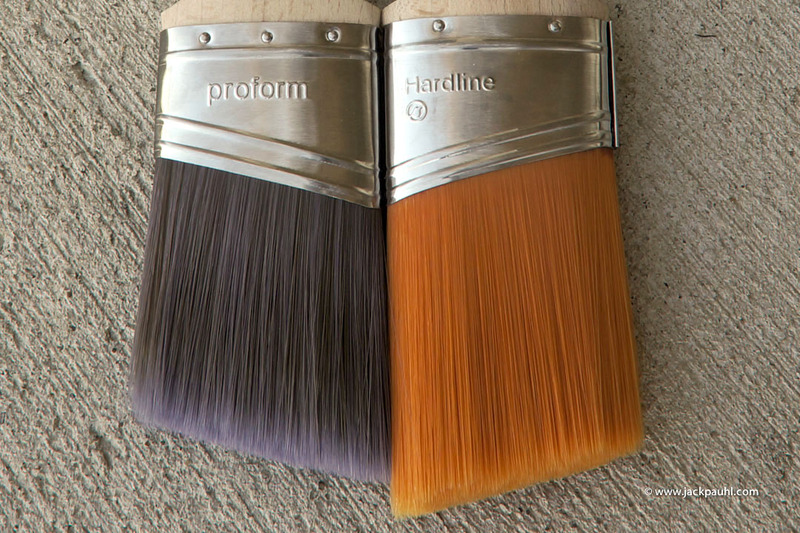 The only real difference is the positioning of the brush over the crown to fit profiles. Is gardz something you would recommend as a prime coat for bare pine? Ive heard no for bare wood.